TVR Car Club Tie. 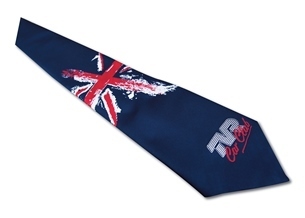 Quality navy solid colour woven tie with TVR Car Club logo and Union flag design, guaranteed to make a statement. Supplied in a presentation box, so an ideal gift for the TVR owner who has everything!